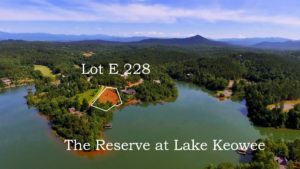 The Reserve at Lake Keowee. Jack Nicklaus golf on Lake Keowee! Lot E-228 is for sale.